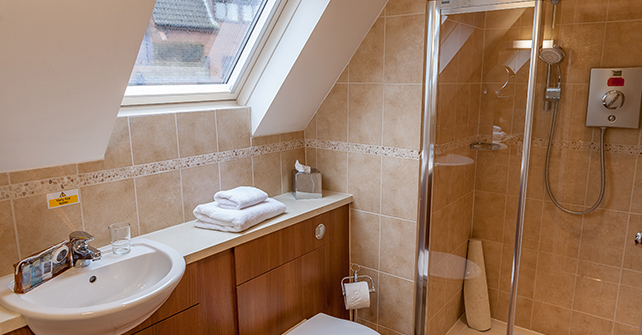 Studio apartments offer a double bed, spacious open-plan living area, and a full bathroom complete with a shower, heated towel rail and shaver point. 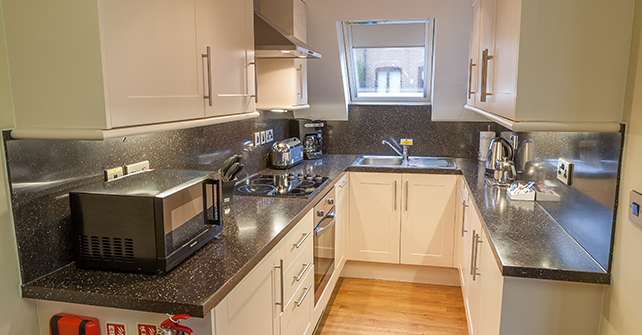 Enjoy the convenience of a full kitchen, equipped with a microwave, oven, toaster and refrigerator. Additional in-room amenities include FREE WiFi, a flatscreen television and DVD player. 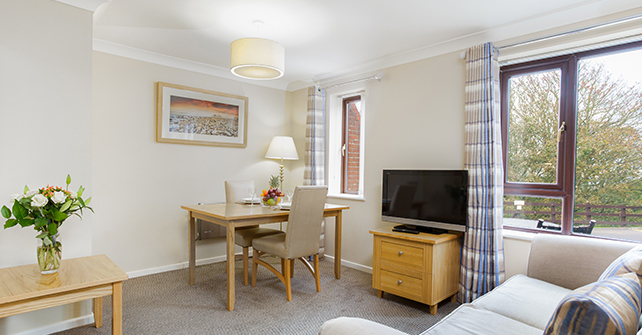 Studio apartments are located on either the ground or first floor. One child under 24 months old stays free of charge in a child's cot/crib. The maximum number of cots/cribs in a room is 1. All other children of all ages are included in the maximum occupancy of the room. Disabled Access: No - the property is located on a hill and some areas have steps. Parking: Free parking for one vehicle per room. No heavy goods vehicles or commercial vehicles including vans are allowed in the car park at any time.